In honor of this week's Memorial tournament we want to take a look back at a Divots' golfer's memory from the tournament back in 2009. 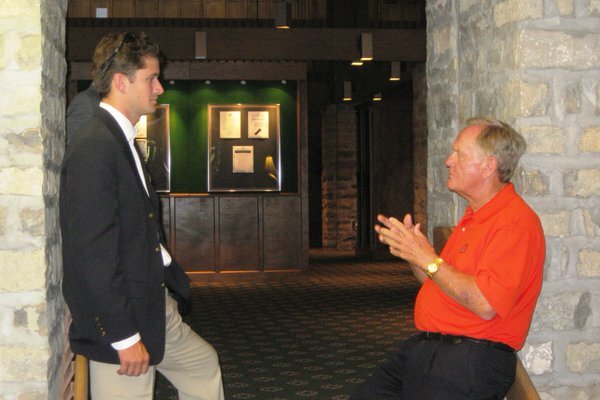 Brent Witcher was awarded the Division II Jack Nicklaus Player of the Year Award for his success while playing college golf for Valdosta State University. Brent had the unique opportunity to chat with Jack privately and of course get an insider look at one of the Tour's most prestigious events.